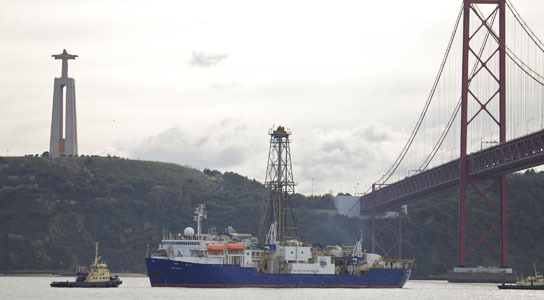 The 35 scientists from 14 countries participating in the Integrated Ocean Drilling Program (IODP) Expedition 339, Mediterranean Outflow, retrieved the first sediment samples from below the Mediterranean seafloor. The researchers are using the sediment cores to gain a better understanding of the climate history over the last five million years and believe the Mediterranean bottom currents could affect future oil and gas exploration. The group–researchers participating in Integrated Ocean Drilling Program (IODP) Expedition 339: Mediterranean Outflow–is the first to retrieve sediment samples from deep below the seafloor in this region. Be the first to comment on "IODP Expedition 339 Reports Findings from Mediterranean Seafloor"